The music on the CD was chosen by band members to reflect not only the range of music the band plays, but also that which they have most enjoyed playing during the last few years. 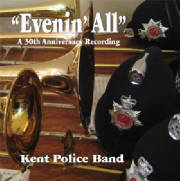 For a copy of the CD please visit our contact page and we can arrange for a CD to be delivered to you. Alternatively the CD is usually available at our concerts.